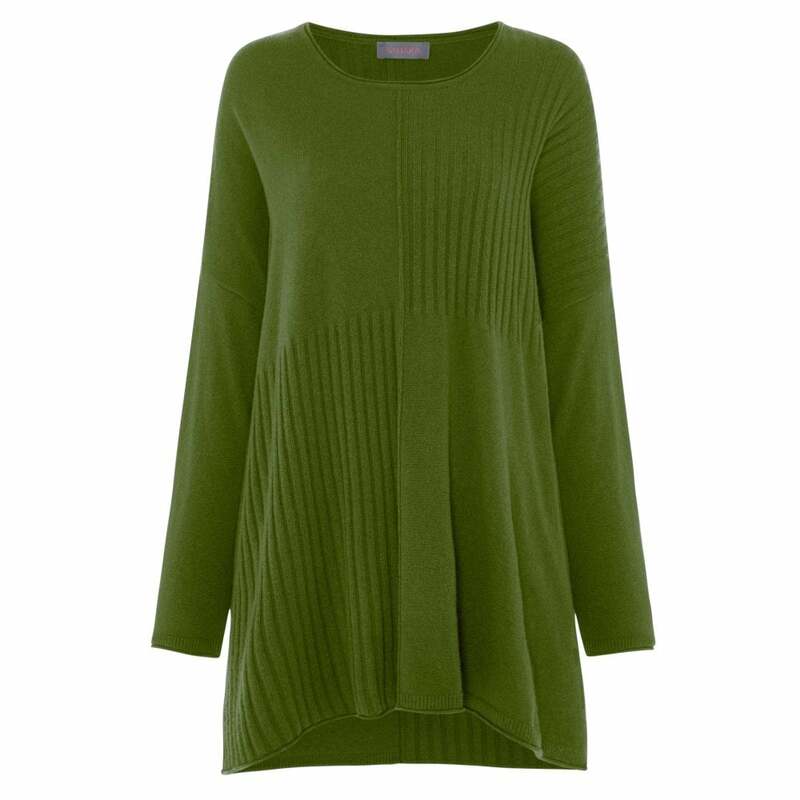 Sure to be your new favourite seasonal piece this jumper is created from a beautifully soft merino blend. Designed with a classic crew neck, rolled hems and a gently curved centre seam this is perfect for casual days. Unique design is added with side seam splits and ribbed diagonal panels. Hand Wash Only, reshape whilst damp.